Rochester meal programs around the city. Some of these resources offer additional services. 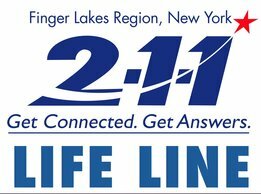 2-1-1/LIFE LINE has a comprehensive database that is searchable by the county and zip code each food pantry services. Please click on the link below to use their search engine and for more information on each individual resource. The Community Meal Program at the Open Door Mission feeds the homeless as well as low-income men, women and children of the Rochester community. This meal which is served nightly at 6:45pm is free of charge to visitors and clients. Doors open at 1:00 pm M-F followed by a coffee hour (coffee hour on Thursdays and Sundays at 4:30 – 5:30 pm) The doors open are 4:00 m on Saturday and Sunday. The Emergency and Family Assistance Department assists residents to meet basic family needs. Families and individuals seeking emergency assistance will be able to resolve immediate needs for food, clothing, rent/mortgage, transportation, vital records, advocacy and identify steps to avoid repeat crisis. Additionally, families and individuals will be referred to other services such as substance abuse treatment programs, case management services, and job training or employment programs as needed. The goal of The Emergency and Family Assistant Department is to assist residents to become financially self sufficient. St. Peter’s Soup Kitchen has served the West Side Community of the City of Rochester, NY for over 29 years. Father Richard Czierwin, SS.CC, a member of The Congregation of the Sacred Hearts, started the program in 1982. Foodlink is a non-profit food bank that rescues and redistributes over 19 million pounds of food annually to area agencies. It distributes food and goods donated by manufacturers and retailers to approximately 500 human service agencies in a 10-county area and offers more than 30 food-related programs. Foodlink also prepares thousands of meals daily in its Community Kitchen. Its innovative approach directly addresses diet-related health disparities related to food insecurity.